Lake Level is Dropping at a Significant Pace! 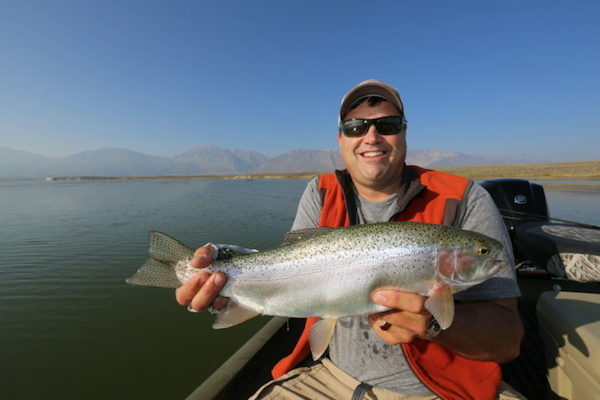 Joe Miranda fished with Two Bug Doug and got, well, a very respectable cutty! The lake level is dropping at a significant pace. This is putting a lot of the weeds on shore to dry up, thus lowering the water depth of the weed walls. Still seeing fish in extremely shallow water in the mornings cruising over and between the weeds. The trout are full of perch fry and small midges and any decent imitation fished the correct way can land you some real monsters. 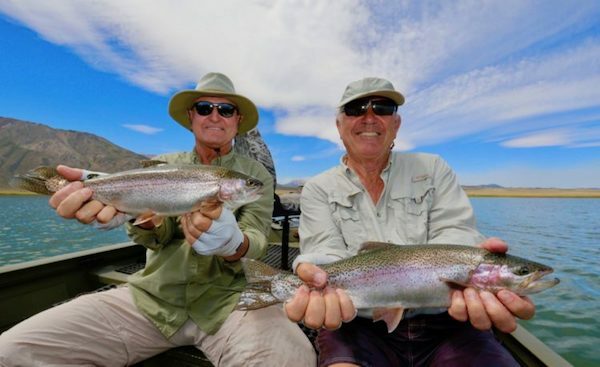 Choosing the right place to anchor is crucial now, as you need to find the big concentrations of fish to keep a consistent bite going. 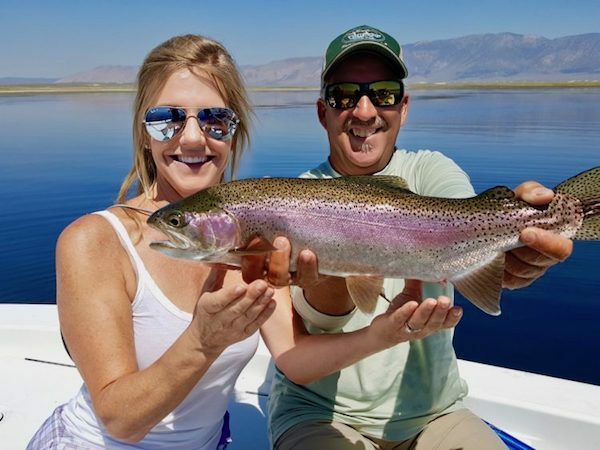 The fish are moving around throughout the day, and you must stay on them to keep those rods bent. 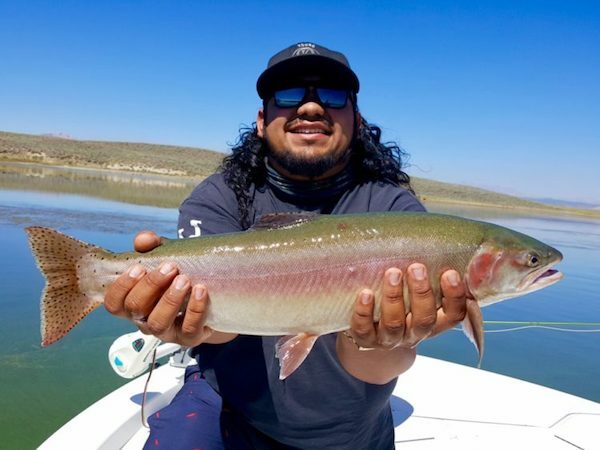 The bite has been consistent on some days with good numbers and a mixed size of fish, and other days have been yielding less numbers but excellent quality. Hanging our parallel and level pattern flies over the weeds and in the channels has proven deadly. Please take care to avoid large bird schools as the grebes are still tending to their young and it is best not to disturb them. Take the time to steer around them when traveling by boat. Watch the surface temperature where you are fishing and take great care not to over stress your catch upon landing them. Keep them in the water so they can recover fully before even considering taking a photo. 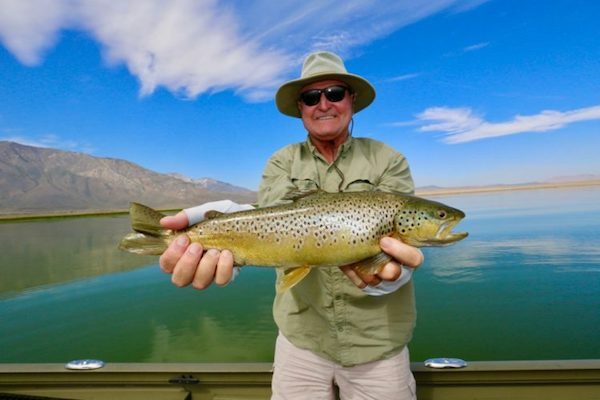 The fish should then come out of the water, a picture or two should be snapped, and then the fish should be immediately returned to the water, preferably inside a net that will allow full recovery before they are released. Make sure the fish is strong enough to push towards the bottom and needs no assistance in staying upright. We have noticed a few fish this season from improper catch and release handling that simply did not make it back alive. 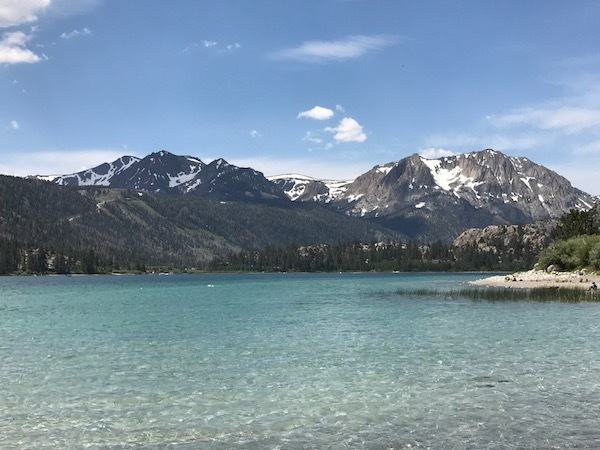 You can help keep this fisherie’s status as one of the best in the state for trophy fish by ensuring the survival of these breeders, both wild and hatchery. Best flies have been #14-16 punk perch, #14-16 parallel punk perch, #14-16 assassins dark and light as well as parallel, #18-20 Gillies dark and light chironomid pupa, #16-18 Crystal Zebra Midge Long, and #16 Crystal Tiger Midge Dark. Jake Brower “Mr. February” to the San Diego long range fleet, is pictured here with a fat rainbow. Jake fished with Tom as his guide. 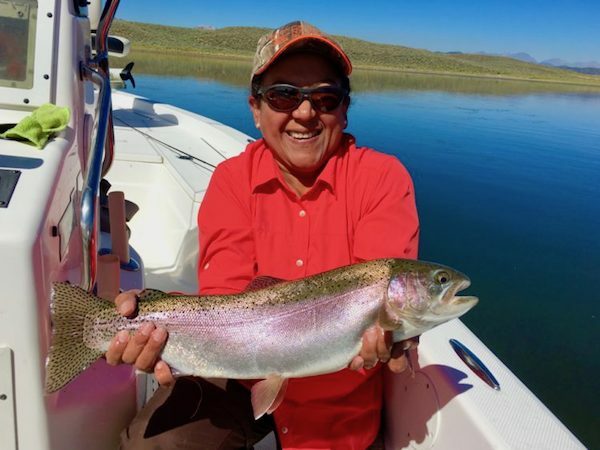 Patty Gilpin is at it again with her consistency of monster fish! This thing has been eating lots of perch! 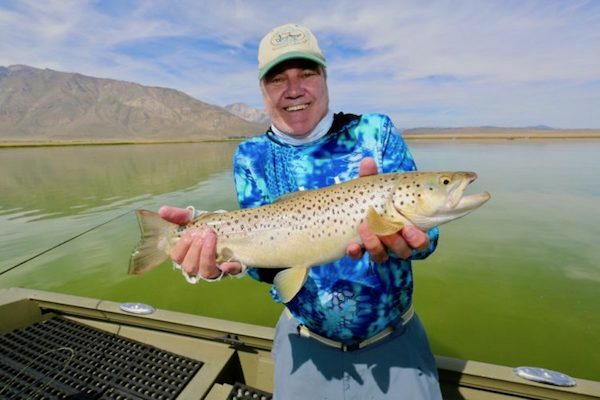 “Willy” Amans got out with Tom Loe for a fun day of “catching” in McGee! Scott Linkletter is back for his Crowley fix. 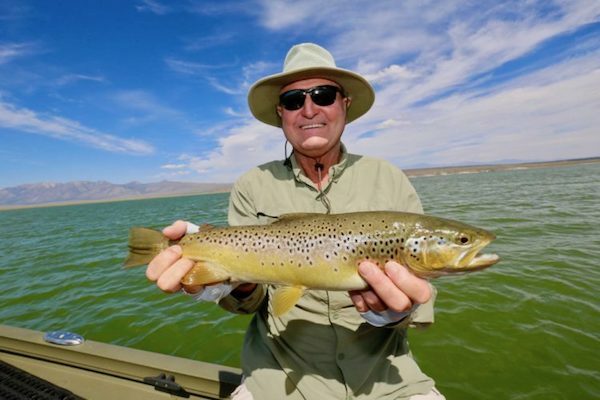 He fished with Tom Loe and friend Andy Rafkin for some quality fish!